whatlisawrote: Hair SOS - a challenge! Hair SOS - a challenge! Just a quick stop here as I am busy busy busy with work today. BUT, I am getting my hair cut and coloured tonight. Looking forward to it as it's been AGES since either has been done so my hair is in a bit of a state! At the moment I have really long hair (well, the longest it's been for me since I was about ten years old) but I never do anything with it. If it's clean I wear it loose with a slight natural wave. If it's dirty I'll whack it into a bun or a ponytail. And leave it like that for about three days or until I can be bothered to wash it. Sorry, you're probably all thinking "ewww" as you read this. I rarely try new styles and this got me thinking - what's the point in having long hair if I never experiment with different ways of styling it? 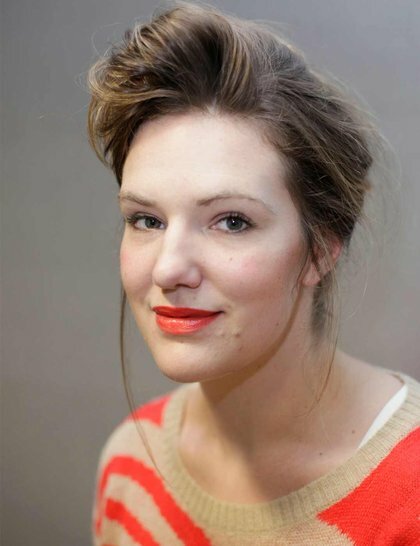 As someone who is often short on time when it comes to their daily beauty routine (it's difficult enough for me to remember to wear make up, let alone spend time on styling my hair) I need quick, easy styles that maximise my hair but minimise the amount of time I spend looking in the mirror with a mouthful of bobby pins and a scowl! Everyone loves heidi braids right?! 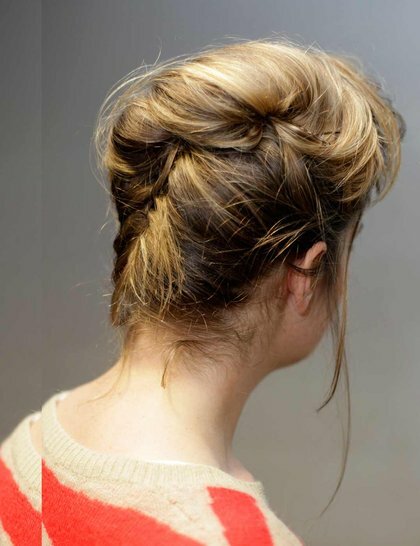 Simple french pleat with loosely quiffed front. Screen siren waves - should be a doddle with hot tongs! A modern 'Bardot' half-up half-down. Cute little hippy plaits tucked into a low, messy bun. All images above courtesy of Google Image Search. 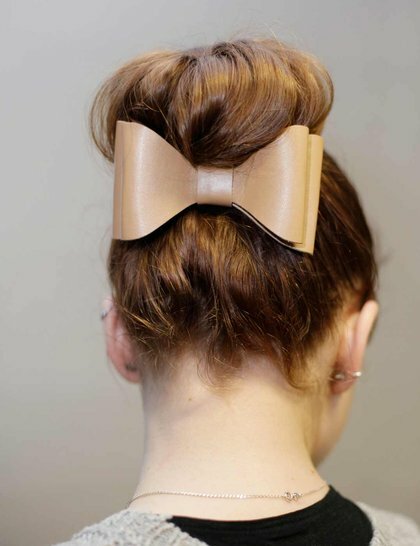 Nice twist on the usual ballet bun - accessorize! I fear fishtail plaits as they look super complicated. Surely the tutorial on lovely blogger Grace & Braver's blog will help me get over my nerves!! Pretty side twist, I love this. Hair twisted on both sides then put into a bun. Image credit to Valentina de Pertis, another lovely blogger! I'll post photos of my progress, I'm so determined to succeed in this challenge that if I haven't worn my hair in at least 3 different ways per week I'll get it cut into a more manageable bob!! What hairstyles do you all think I should try? I'd love some tips!! I can't wait to see what you come up with. Will your post tutorials with what styles you try? I really need to do some new hair styles myself. I either wear my hair in a pony, or down. Sometimes if I'm feeling adventurous I'll do a side plait, ha, but that's about as exciting as it gets! I'll definitely post tutorials on the styles I try so everyone else can give them a go if they like. 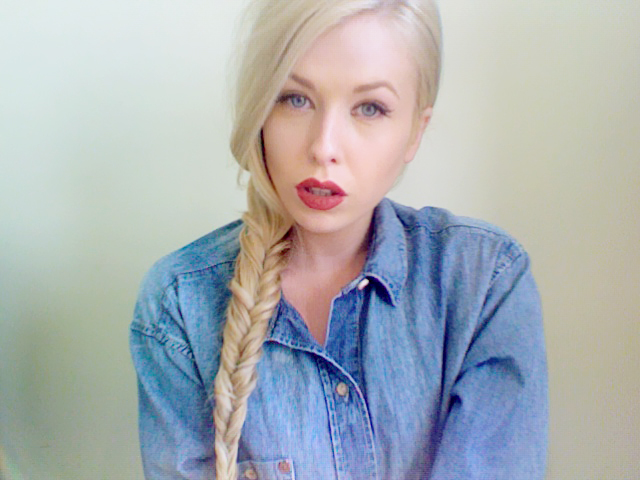 I would like to see the fishtail plait on you and the loose curls. Good luck with it, looking forward to seeing the results of what you come up with. Also have you ever tried making your hair into a bow? I watched a tutorial for it today and I am going to try it, super easy and quick! Thanks Janine!! I haven't tried making my hair into a bow, perhaps you can send me a link to the tutorial and I'll give it a go?! the first hairstyle is very nice!!!! I like your blog, just started following you. Perhaps you'll follow me back? Haha! Apparently a couple of people have been inspired to try it following my post so hopefully I'll be able to do it too, eek!! When I had long hair I used to wear braids all the time (after you do it pretty much everyday for a month or two it takes you no time to braid it and it gets you so many compliments), like a big one pulled back (more like a... braided ponytail?) or a small one around my hair just to take my bangs out of my face (more like lauren conrad). Okay Miss Simmonds - I will!! I love Ashley Olsen's hair and really her whole look... beautiful! And Blake Lively is just perfection!! Good luck with your hair appointment, please send me a link to the latest post you do on the outcome! I'm so happy to hear that you have also become happier and been able to move past such an awful breakup. Well done and you truly have given me so much strength and hope. I love playing around with hairstyles - look forward to seeing what other hair projects you try! Thank you!! I am following you back. I love that your doing this challenge! I have long hair and I'm always wearing my hair in the same way, I always buy hair accessories in the hope to do something with my hair, but they sit unused, so you have definitely inspired me to try out new hairstyles. A low messy bun! I love it! On a lazy day or at a classy event, it's always good!